Elevate your outdoor design with the casual comfort and quality construction of a POLYWOOD® Adirondack chair set complete with side tables, ottomans, and more. Choose between earth tones and vibrant colors. 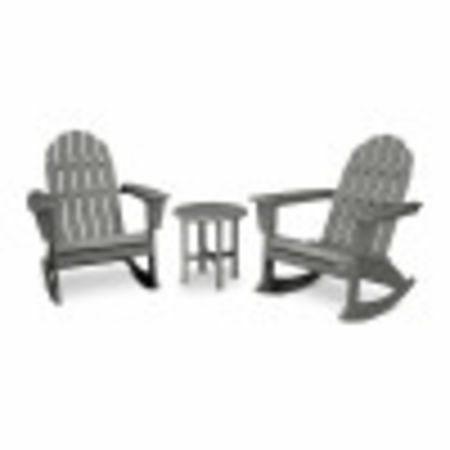 Transform your patio, backyard, or deck with the addition of an Adirondack chair set. Incorporate the timeless beauty and casual comfort of Adirondack chairs into your outdoor design for furniture that can weather the elements for years. Take the headache out of planning your porch retreat or poolside pow-wow space by choosing a POLYWOOD Adirondack chair set complete with side tables, ottomans, and enough chairs for everyone in your family. Escape from everyday life and relax in the comfort of slatted, contoured backs and seats constructed with durable lumber and impeccable craftsmanship. Choose between several unique styles of Adirondack chairs and select the set that best suits your needs and your space. Maybe you would prefer four Adirondack chairs surrounding a fire table in your yard, or two Adirondack rocking chairs and a side table on your front porch. 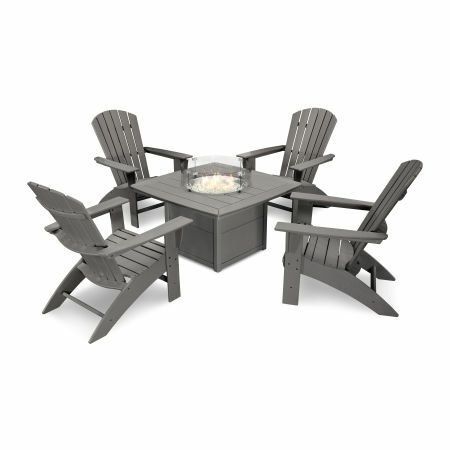 Provide the perfect seating for any space with coordinated Adirondack-style outdoor furniture pieces. POLYWOOD® Adirondack chair sets are sold in a variety of hues, ranging from bold, vivid colors to neutral earth tones to complement your unique home design. All furniture pieces in your Adirondack chair set will be the same color so your patio or deck has a uniform aesthetic that guests and friends will adore. Select Adirondack chair sets from many of our most popular collections, including the Quattro, South Beach, Nautical, and Classic Adirondack Collections. Our Color-Stay Technology allows your Adirondack chair sets to be exposed to direct sunlight for years without the color fading. 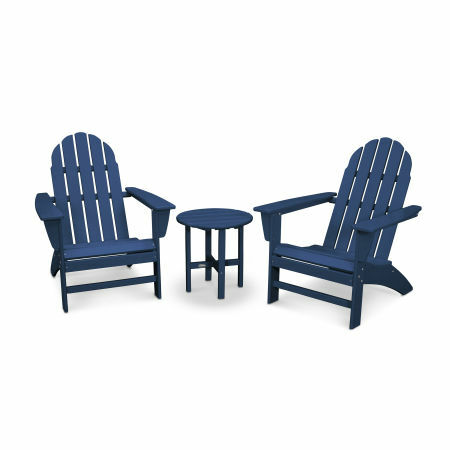 All of our Adirondack chairs, ottomans, conversation tables, and outdoor furniture is constructed with genuine POLYWOOD® HDPE lumber that is completely weather resistant and won’t crack or rot like natural wood. 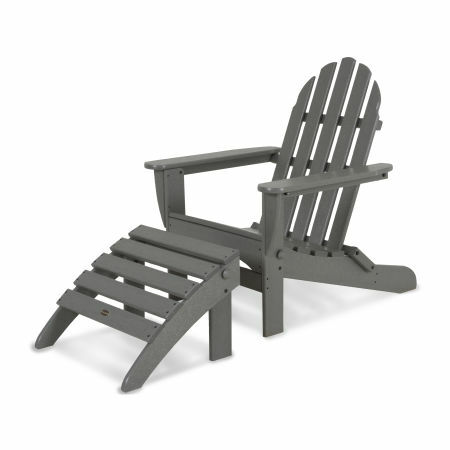 Rain, snow, mud - the natural elements are no match for a sturdy and elegant Adirondack chair set. Maintenance is easy and straightforward - just wipe down your chairs and tables with a damp cloth and gentle soap if you spot dust, dirt, or grime. 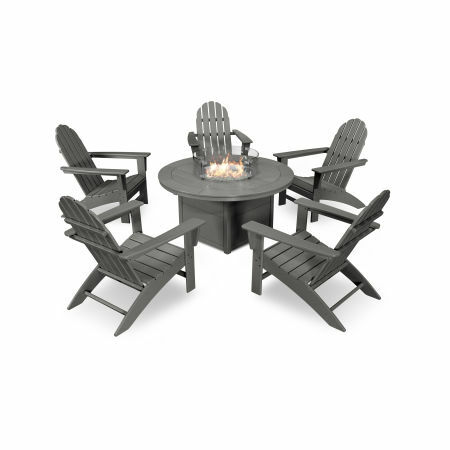 Adirondack fire table sets are perfect for families that love to make s’mores or chat the night away around the warmth of a blazing fire. The low-maintenance fire table and low seating of our Classic Adirondack chairs guarantee a low-key chat session where you can really cut loose and bond. Your front door will look more inviting when flanked by two comfy Adirondack rocking chairs and a side table. Add a weather-resistant Sunbrella® cushion to further elevate your reading or napping spot for hours of comfort. A folding Adirondack conversation group creates a cozy space where you can enjoy a light breakfast in the morning as you take in the sunrise. The folding chairs can be stored at a moment’s notice for convenience and versatility. The foundation of an Adirondack chair set is the chair itself, and to determine the right design and style for your home you may need assistance. Read our comprehensive Adirondack Chair Buying Guide to make sure you’re on track for a relaxing safe haven your family will enjoy for years.